Richard was appointed Investment Director of PHF in 2008. Previously he was Head of Charities and Foundations at Schroders plc, one of the largest fund managers in the UK. 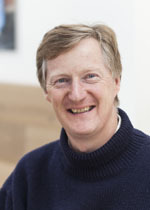 He began working in investment management in 1982 and has an MA in Theology from the University of Oxford.